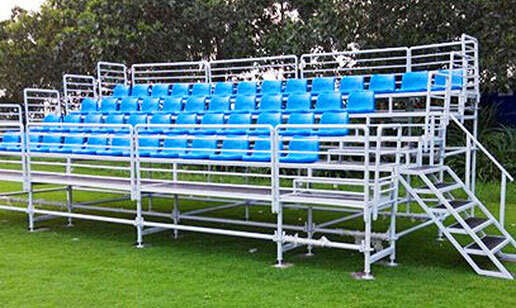 ACT’s fast assembly grandstand is modular design, can be used for many different places. 1.Scaffolding structure and modular design, easy to assemble and disassemble. 2.The basic structure and special components use standardized components, covenient to transport and store. 3.Durable and rust proof. Bearing weight is no less than 350kgs per sqm.